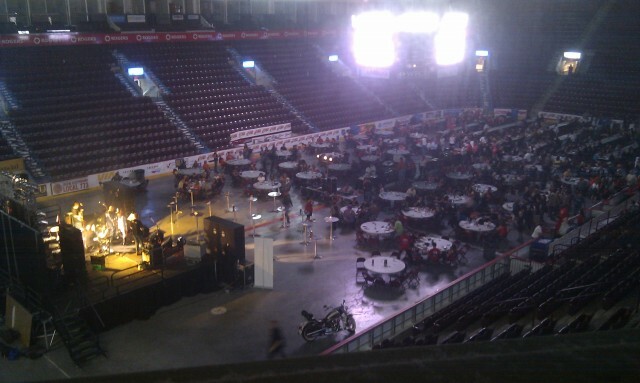 Bikers Ride Around Windsor to Remember Bob Probert! This article is 2491 days old. Hundreds of riders from all over the area – some even coming from Illinois – rode their motorcycles in and around Windsor this past Sunday for the 2nd Annual Bob Probert Memorial Ride. 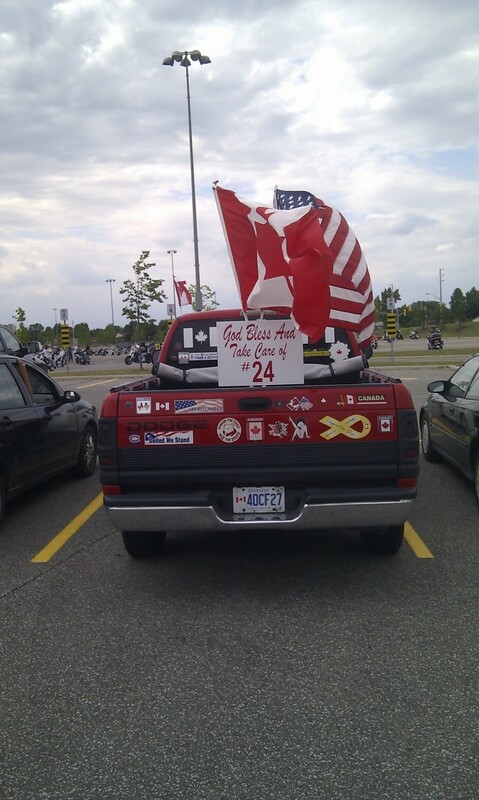 Family, friends and proud Probert supporters got onto their bikes at Hôtel-Dieu Grace Hospital early in the morning and began to ride out into the county. The police escorted pack was led to the Oldcastle’s Dominion Golf & Country Club as their first stop. The second stop was a ride to the Verdi Club in Amherstburg. From there, the group was on its way to its third stop, the Colchester Bar & Grill in Harrow. 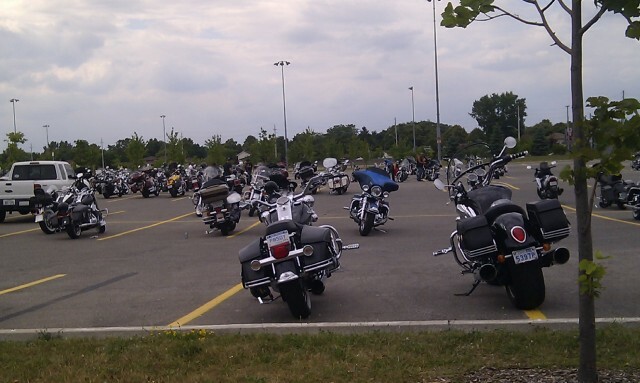 After a short rest, the bikers headed out to Lakeshore, into Belle River, to Mr. Biggs’ Restaurant & Sports Bar. 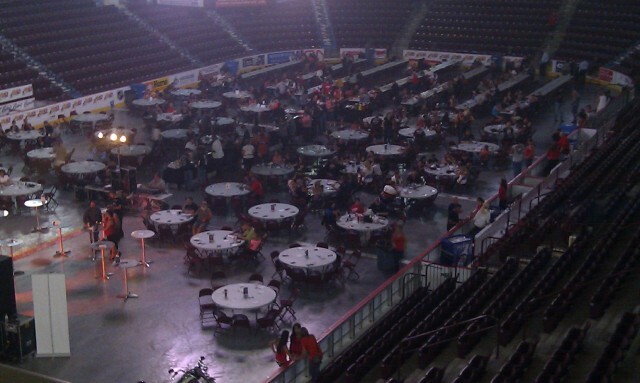 Finally, the bikers rode to the WFCU Centre in Windsor, where they were met with a meal and live entertainment. 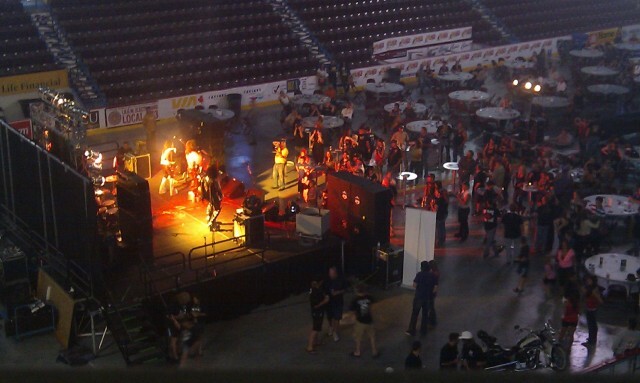 The bands performed classic rock songs – the first playing a rock version of Flo Rida’s Low. The second band, Destroyer, a KISS tribute band, kept the crowd rock and rolling all night. 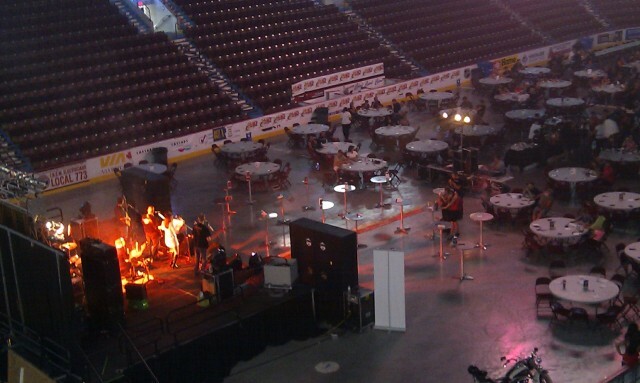 It was an evening of great enjoyment for the many that came, and rode, for Bob Probert!